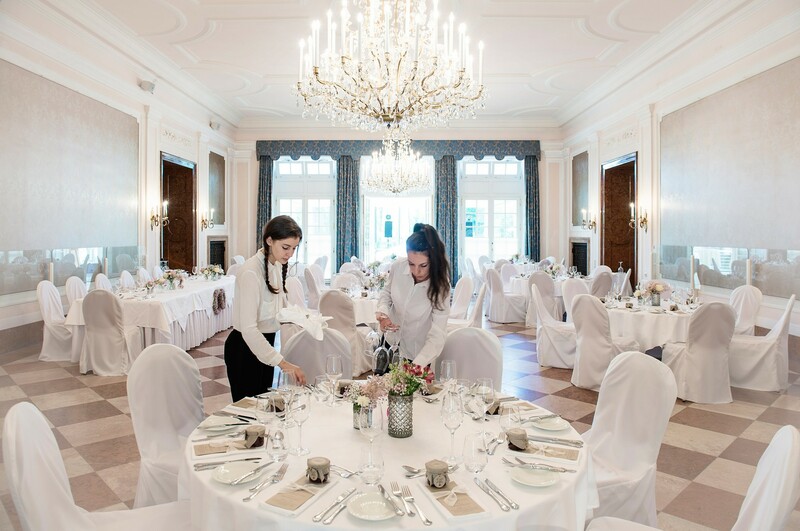 "Kavalierhaus Klessheim", an extravagant small palace on the outskirts of Salzburg, is ideally suited for weddings you would otherwise only find in a fairy tale. You, too, can experience unforgettable moments of intimacy such as these - especially since, when it's time for your big day, the palace will belong to you and your guests alone. 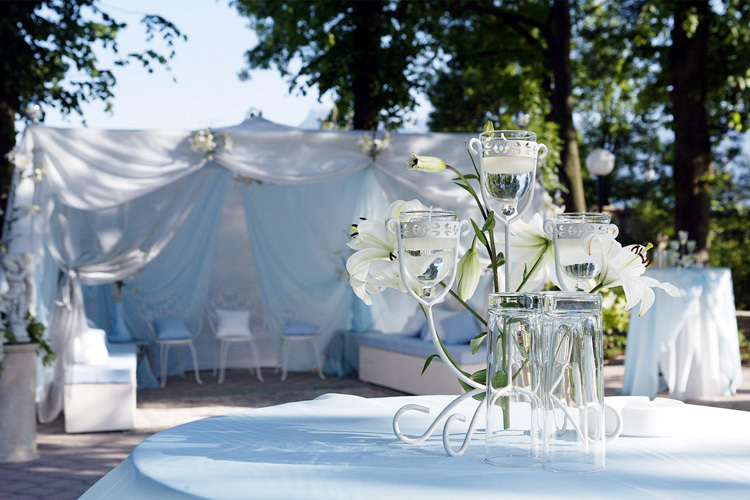 Are you planning an outdoor summer wedding? If so, Kavalierhaus Klessheim will be perfect for you. And what if it happens to rain? Well, even in that situation, we are perfectly prepared. After all, whether under an open sky or inside the rooms of our venerable stately home - a wedding at Klessheim is always something truly unique. As we know, the way to a person's heart is through their stomach! 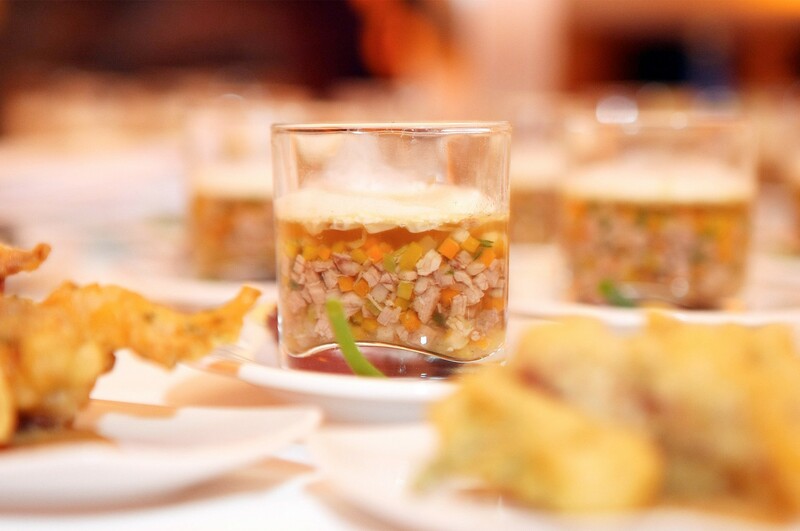 Chef Peter Holzer and his kitchen team will provide the first-class culinary accompaniment to your wedding day. Whether rustic, cosmopolitan or classic - together with you, we will put together a wedding menu custom-tailored to your personal preferences. The price of Eur 1500 includes use of the Kavalierhaus premises until 1 p.m. Of course, your celebrations can go on for longer by arrangement. Beverages: You can either book a package price for beverages (aperitif, open table wines or 0,7 l bottled wines, alcohol-free drinks, coffee) or have drinks billed according to consumption based on our regular daily prices. Midnight snacks for late-evening hunger pangs: cheese buffet with bread basket, hot goulash soup with bread basket, Salzburg hot-dog buffet, small leberkäs sandwiches. 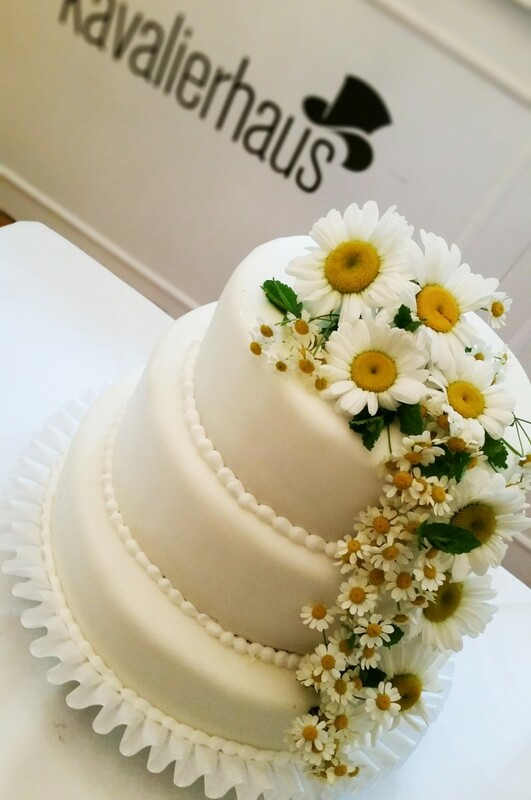 - Wedding cake: We will be glad to take care of your wedding cake for you – though of course, you are also welcome to bring your own. 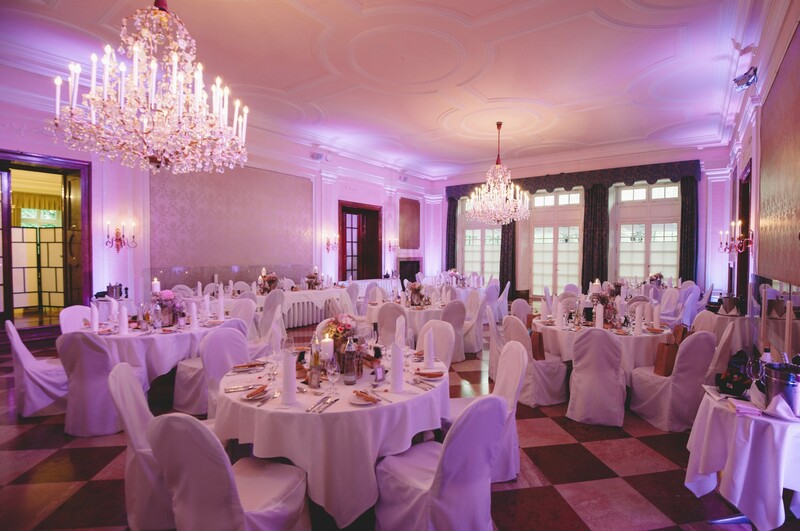 As a special service, Kavalierhaus Klessheim provides an organizational team who will assist you in the planning and hosting of the most beautiful day of your life. No matter what your question, we are always right there at your side, offering sincere, attentive assistance and attention to every detail. We look forward to receiving your inquiry and will be happy to send you a personal offer. You encounter excitement in those places where people put love and passion into their work. 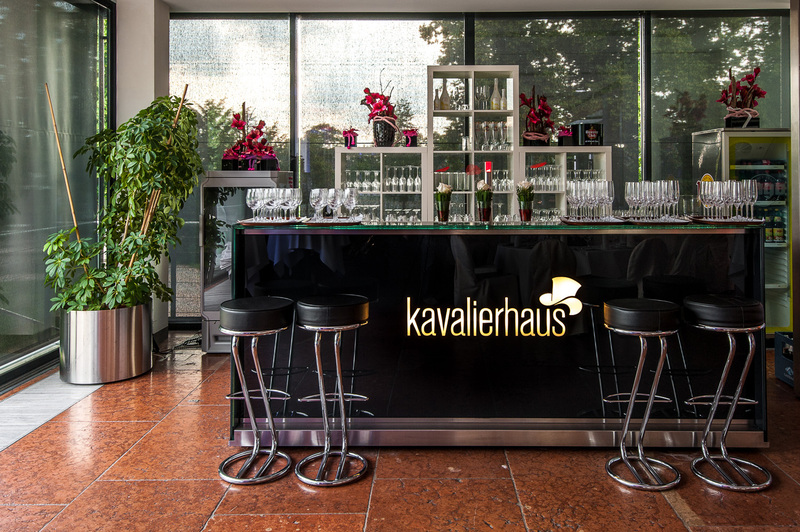 Kavalierhaus Klessheim and its gardens provide spaces for memorable experiences and pure enjoyment.